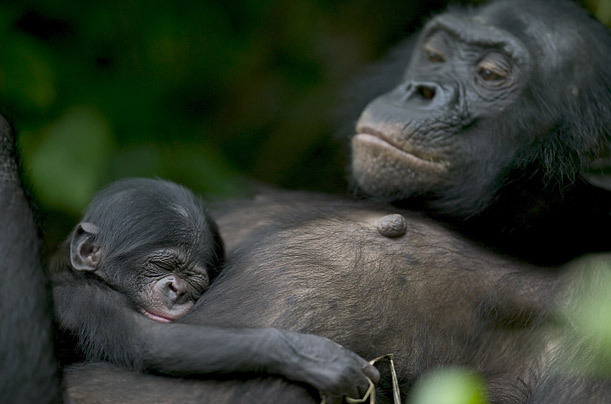 The bonobo population has been threatened for years by poachers, loggers and miners. This mother and her newborn are safe, however. They live at Lola Ya Bonobo, a sanctuary near Kinshasa.